I love pretty things!! However, I am not a girly girl by any stretch of the imagination. I also really love making lists. I make them for pretty much everything you can imagine. You may think I’m organized, but I’m SO NOT!! I’m a complete scatterbrain, and if it wasn’t for my lists, I probably wouldn’t get anything done AT ALL!! So, check this out, my pretty in pink to do list… I use this printable to track weekly to-dos, or sometimes as a daily planner. 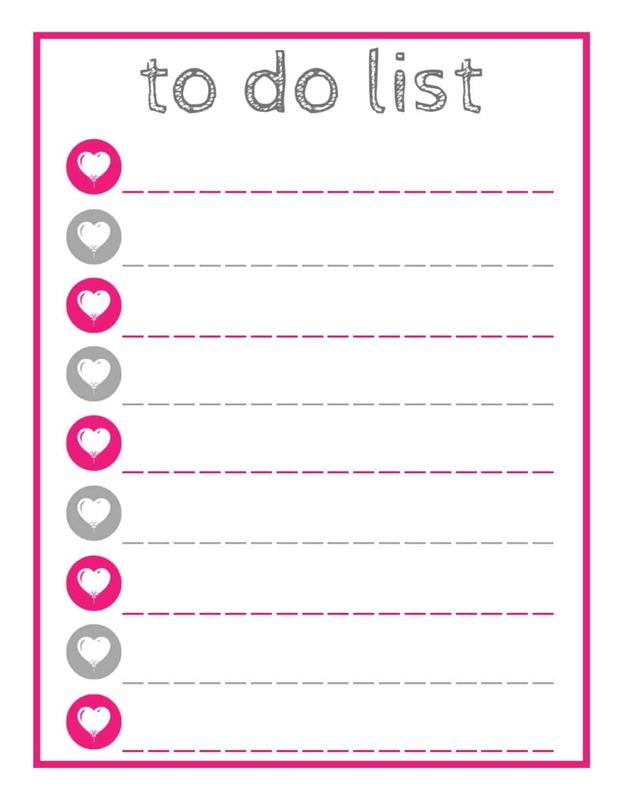 The hearts are perfect because they can be used as checkboxes OR fill them in with color to keep things looking pretty. document and print it out on an 8.5 x 11 sheet of paper. my printable to-do list post with all your friends on Facebook and Pinterest!